A Kansas City mosque owned by an Islamic umbrella organization with deep ties to the U.S. arm of the Muslim Brotherhood has received millions of dollars in federal grants over the past several years, according to a federal spending database. The Islamic Center of Greater Kansas City has received $2,739,891 from the Department of Agriculture since 2010, a Daily Caller analysis has found. The money largely went to the mosque’s Crescent Clinic to provide services through the Women, Infant and Children nutrition program, known as WIC. The most recent federal payment — in the amount of $327,436 — was handed out Oct. 1. 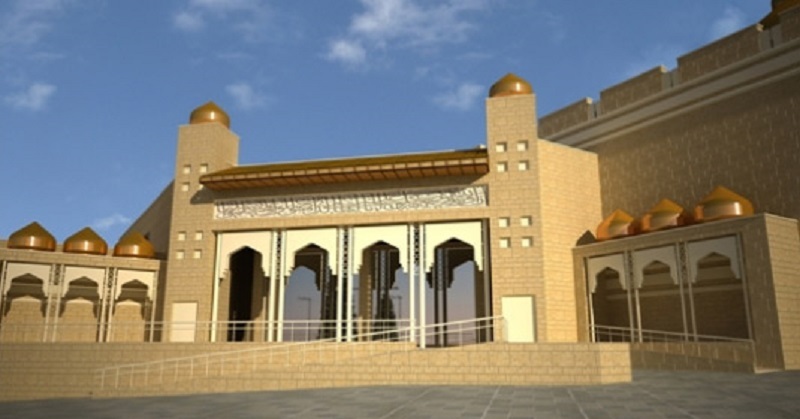 Property records show the mosque is owned by the North American Islamic Trust (NAIT), which acts as a financial holding company for Islamic organizations. It offers sharia-compliant financial products to Muslim investors, operates Islamic schools and owns more than 300 other mosques throughout the U.S. Founded in 1973 as an offshoot of the Muslim Brotherhood-backed Muslim Students Association, NAIT’s most controversial connection is to the 2007 and 2008 Holy Land Foundation terror financing cases. Along with other Muslim Brotherhood-linked organizations like the Islamic Society of North America (ISNA) and the Council on American-Islamic Relations (CAIR), NAIT was named a co-conspirator in the federal case but was not indicted. At the Holy Land Foundation trial, evidence was presented that ISNA diverted funds from the accounts it held with NAIT to institutions linked to Hamas and to Mousa Abu Marzook, a senior Hamas leader. Federal prosecutors introduced evidence in the case that “established that ISNA and NAIT were among those organizations created by the U.S.-Muslim Brotherhood.” Hundreds of thousands of dollars worth of checks drawn from ISNA’s account and deposited in the Holy Land Foundation’s account with NAIT were made payable to “the Palestinian Mujahadeen,” which is the original name for Hamas’ military wing. While Hamas was designated as a foreign terrorist organization by the U.S. government in 1997 and is considered the Palestinian branch of the Muslim Brotherhood, the larger Muslim Brotherhood is not itself designated as a terrorist group. Some American politicians, such as Florida Rep. Mario Diaz-Balart and Texas Sen. Ted Cruz, seem to agree with that sentiment. Both Republicans introduced legislation this year to designate the Muslim Brotherhood as a terrorist group. NAIT has other ties to the Holy Land Foundation case. Its newly-appointed executive director, Salah Obeidallah, was a founding member and former president of the Islamic Center of Passaic County in Paterson, N.J. In the 1990s, the imam at that mosque was Mohammad El-Mezain, a founding member of the Holy Land Foundation who was sentenced to 15 years in prison for helping fund Hamas. Obeidallah has said that he was not aware of El-Mezain’s terror funding activities. In being owned by NAIT, the Kansas City organization is in company with numerous mosques with ties to known terrorists, terror sympathizers and fundamentalist Islamists. Purportedly backed by money from Saudi Arabia and supporting a fundamentalist branch of Sunni Islam known as Wahhabism, NAIT holds the deed to the Islamic Society of Boston, which operates the mosque attended by Dzhokhar and Tamerlan Tsarnaev, the so-called Boston Marathon bombers. It also controls the Islamic Center of San Diego, which was attended by Khalid al-Mihdhar and Nawaf al-Hazmi, two al-Qaeda members who helped fly American Flight 77 into the Pentagon on Sept. 11, 2001. According to a 2002 Newsweek investigation, members of the San Diego mosque helped the two terrorists obtain housing, driver’s licences and social security numbers. They claimed not to have known about the men’s terror plans. NAIT also owns the Dar Al-Hijrah mosque in Fairfax Co., Va. — a known hotbed of terrorist activity. Al-Qaeda recruiter Anwar al-Awlaki served as imam at that location in 2001 and 2002. He was killed by an American drone in Yemen in 2011. The Islamic Center of Greater Kansas City has its own loose links to terrorist activities. The mosque made news earlier this year when it held the funeral for Nadir Soofi, one of the two jihadis who attempted to pull off a terrorist attack in Garland, Tex. Soofi, who was 34, and his accomplice, 30-year-old Elton Simpson, opened fire outside of an art exhibit featuring cartoons of Muhammad, but were killed by a security guard. Both Soofi and Simpson attended the Islamic Community Center in Phoenix, which land deeds show is owned by NAIT. That particular mosque posted $100,000 bond for Simpson following his 2010 arrest for lying to FBI agents about his plans to travel to Somalia to join a terrorist group. Simpson was given three years probation in that case. The Islamic Center of Greater Kansas City has also hosted Imam Khalid Yasin, an American-born convert to Islam, who has publicly supported sharia law and claimed that homosexuals should receive the death penalty. As a May 2010 Yahoo! message board post shows, Yasin visited the Islamic Center of Greater Kansas City and other area mosques that month to hold a series of lectures and workshops about Islam. That was nearly two years after Yasin touted the virtues of sharia law and capital punishment in a speech at a British mosque. Then people can see, people without hands, people can see in public heads rolling down the street, people got [sic] their hands and feet from opposite sides chopped off and they see them crucified…they see people put up against the pole and see them get lashed in public they see it, and because they see it, it acts as a deterrent for them because they say I don’t want that to happen to me. The Islamic Center of Greater Kansas City did not respond to an email from TheDC seeking comment about its relationship with NAIT and for more information about its federal grants. Several other Islamic organizations have received grants from the Department of Agriculture, the federal government’s spending database, USASpending.gov, shows. One is Ar-Razzaq mosque in Durham, N.C., which received nearly $820,000 in grants from 2011 to 2014. It does not appear to be affiliated with NAIT. Fox News reported last year that NAIT itself has directly received $10,000 in farm subsidies since 1998 for all of the land that it owns. The subsidies were put on hold for several years following the organization’s involvement in the Holy Land Foundation case but resumed in 2011. Read about one of the Imam’s of the Islamic Center of Greater Kansas City who was also on its board of directors. The Kansas City area, like many other cities with growing Islamic enclaves, has a serious Muslim problem.